The latest Blumhouse horror is coming this Spring. Last year the prolific Blumhouse scored two critical and financial hits with Get Out and Happy Death Day, and will be hoping to continue in the same fashion in 2018. Next up from the horror studio is Truth or Dare, in which a group of young friends find themselves targeted by a supernatural presence after indulging in the titular game. 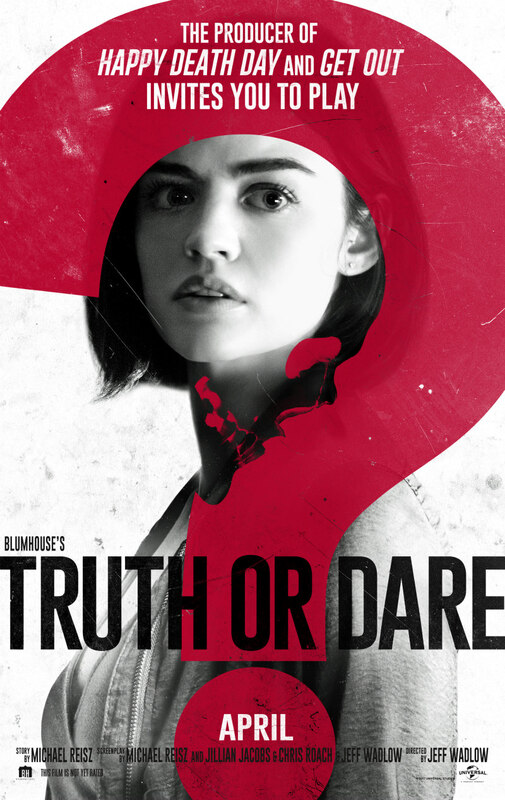 Truth or Dare is in UK/ROI cinemas May 4th. Lucy Hale (Pretty Little Liars) and Tyler Posey (Teen Wolf) lead the cast of Blumhouse's Truth or Dare, a supernatural thriller from Blumhouse Productions (Happy Death Day, Get Out, Split). A harmless game of “Truth or Dare” among friends turns deadly when someone-or something-begins to punish those who tell a lie-or refuse the dare.